The Jim Henson Company step away from their Muppet legacy to create something a little more adult-orientated. 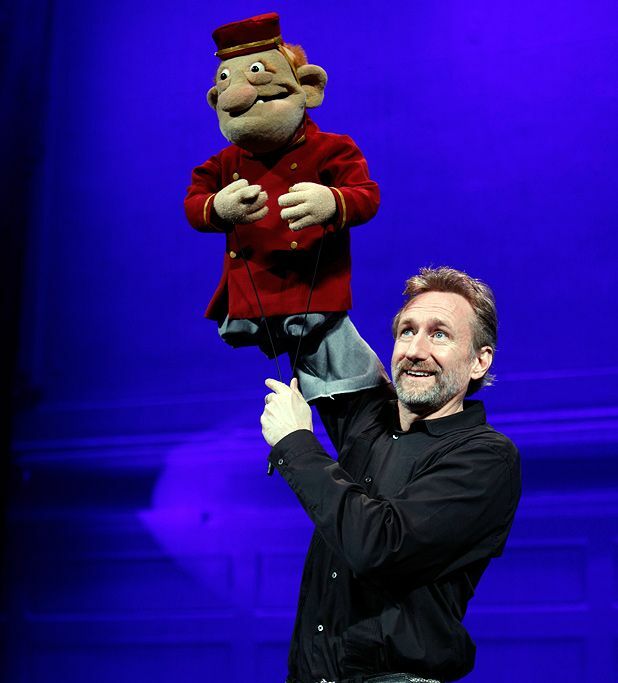 Chaired by Brian Henson (son of Jim), the company revel in semi-controlled anarchy and improvisation with strings attached. Host Patrick Bristow, whose improv chops were well cut on Whose Line is it Anyway?, explains the show's two levels: you can follow the black-clad improvisers on stage, or watch the TV screen onto which the puppet-only action is projected. A team of five controls the various characters, from stoned fish to barely human-esque creations in sketches that are a bit rude, a bit dark, but nonetheless very funny – if occasionally cut short a bit prematurely and joke quality fairly dependent on what the crowd comes up with. Nevertheless, the team pull humour from the strangest of places. Audience suggestions and participation are a frequent feature, with one audience member invited onstage for a quick crash course in puppeteering before being given the reins, to predictable, but naturally funny consequences. The indubitable highlight is the projection of a decades-old Henson piece (I've Grown Accustomed to Your Face) whose simplicity and gentle humour demonstrates why the Henson legacy has lasted for so long. Assembly Hall, 623 3030, until 26 Aug, 9pm, £20–£25 (£16–£20); 24 & 25 Aug, 10.30am, £16 (£10). Assembly and Marshall Cordell. A night of major laughs, not for minors. The adults only wing of The Jim Henson Company, return to the Edinburgh with their live, uncensored show that lets loose the perilous and provocative elements of comedic improvisation on stage with a bunch of puppets. Ages 16+.